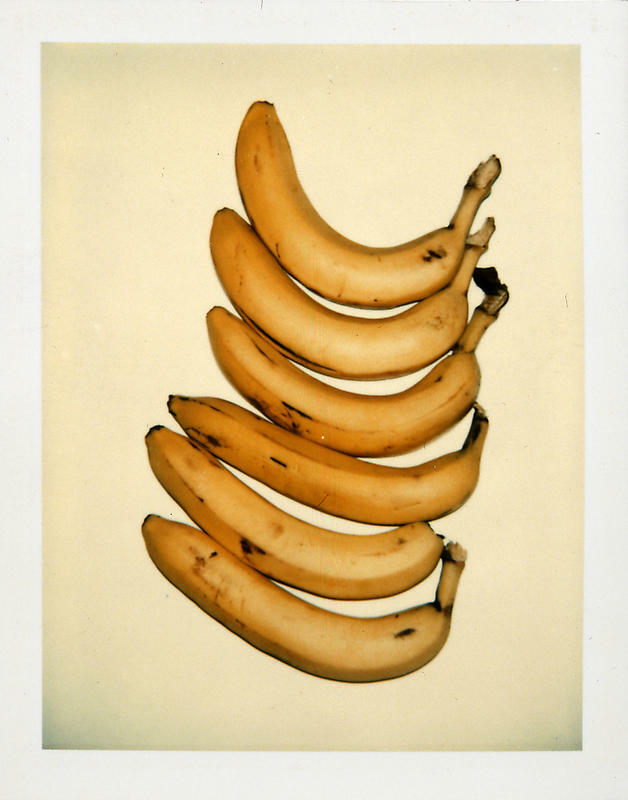 A selection of 70 Still-Life Polaroids by Andy Warhol are currently on display at the Paul Kasmin Gallery in New York. 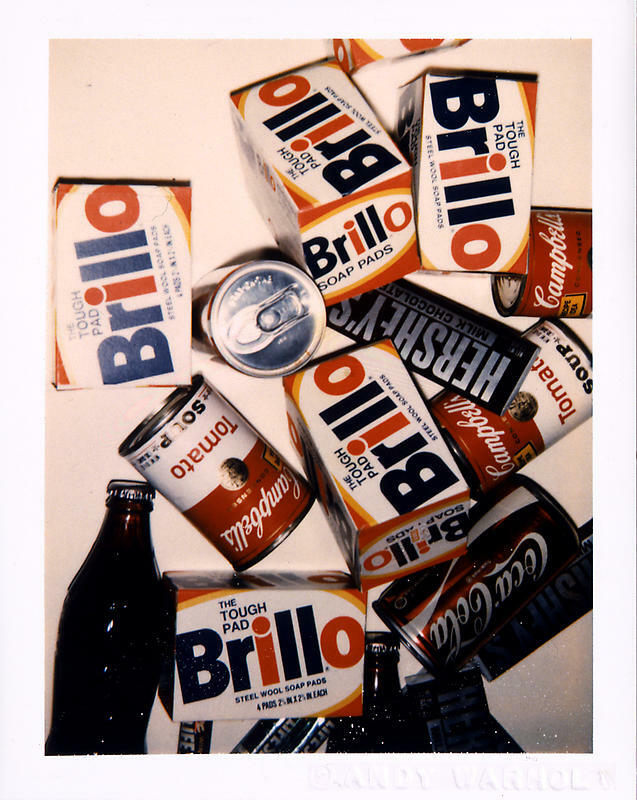 The works depict a unique assortment of objects taken by Warhol between 1977 and 1983 and photographed as subjects for Warhol’s drawings, silkscreens, and paintings. 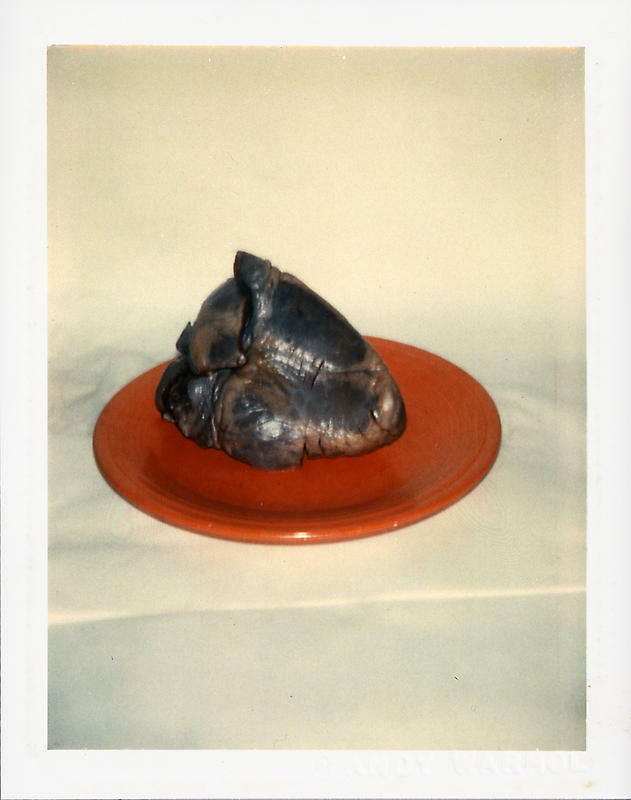 The rarity of Polaroid film tells of a specific moment in Warhol’s practice as well as in the history of photography. 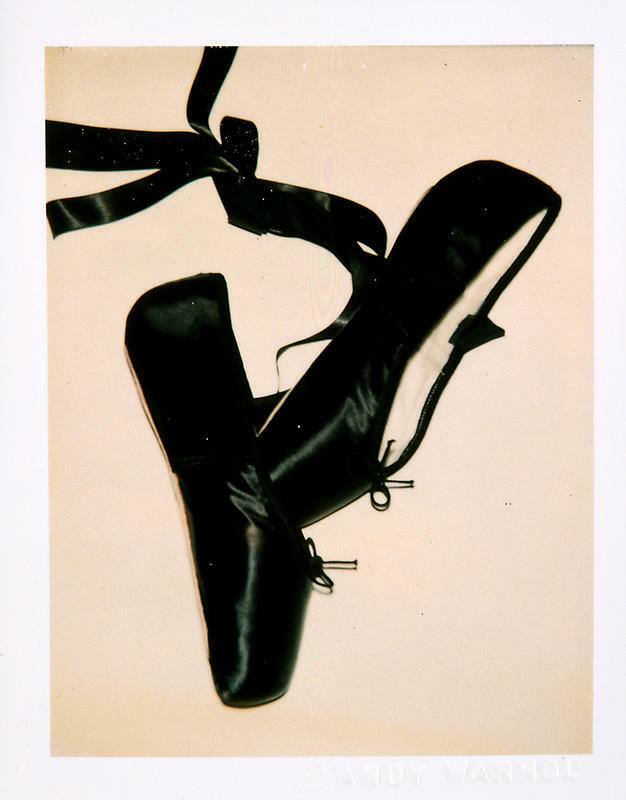 The exhibition captures a variety of subject matter including ballet shoes, eggs, bananas, knives, guns, and disorderly arrangements of shoes and perfume bottles as well as other commercial products such as his iconic soup can and Brillo boxes. Objects are arranged in isolation or grouped together in an either orderly or careless fashion. 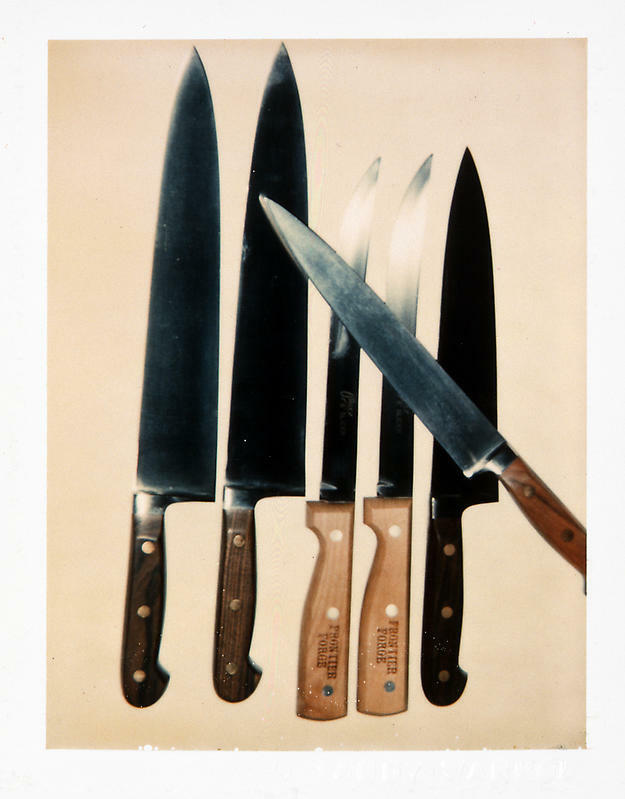 In one work a gray human heart is placed on a bright red plate while in another a series of knives are arranged neatly in a straight line with only one out of place. 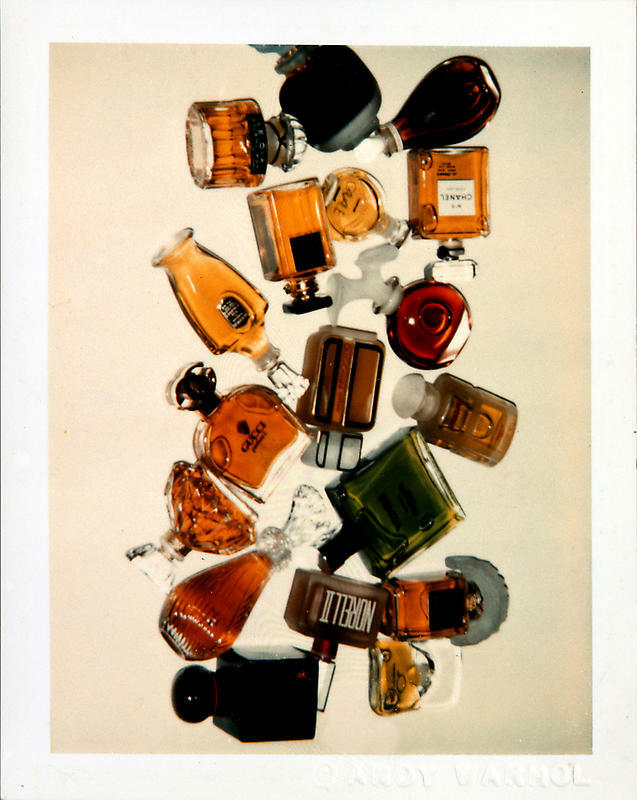 The variety of such arrangements enlivens everyday objects to explore themes of desire, consumption, and mortality. DM News April 7, 2008 | Dilworth, Dianna AS MOBILE devices continue to become more sophisticated, the cell phone experience keeps getting better for marketers and consumers alike. At last week’s CTIA show in Las Vegas, online giants including Amazon.com, Yahoo and AOL came out with their latest in mobile offerings, making it easier to interact with the brands via the wireless device. Amazon.com has expanded its mobile offering beyond its mobile WAP site. It has introduced a new service that lets consumers use text messages to search and shop on its site, called TextBuyIt. Consumers can search for a product they are looking for and complete a purchase using TextBuyIt. To search for a product, consumers can send a text message to “Amazon” (262966) with the name of the product, search term or a UPC or ISBN code. Amazon will reply immediately with the product and prices. To buy, customers reply to the text message by entering a single digit number next to the desired product. Amazon will then call so buyers can hear order details, and confirm or cancel. However, analysts aren’t quite ready to declare victory for mobile marketing. “The end-user experience has to be drastically improved upon in order for people to come to this channel,” said Vidya L. Drego, analyst at Forrester Research. “I believe that these new offerings are baby steps in this direction. But people still use their phones primarily for text and talking, and Amazon and the others have to build platforms that fit what users are doing, instead of making promises about what could be.” Yahoo and AOL have also come out with new offerings, to make searching the mobile Web more intuitive to users out in the world. The boom in innovation in this area should come as no surprise. CTIA recently reported that as of December 2007 there were more than 255 million wireless users. This represents a year-over-year increase of more than 22 million subscribers. The same research also found wireless customers are using more than 2 trillion minutes in 2007, up nearly 18% over 2006. This entry was posted on Sunday, January 4th, 2009 at 8:49 am	and is filed under Go See. You can follow any responses to this entry through the RSS 2.0 feed. You can leave a response, or trackback from your own site.